Simply press SOS button for 3 seconds to send an emergency message. The sos watch and sos pendant are the latest medical alert devices in our innovative range of healthcare products developed and tested locally in Australia. The product is currently used by a wide range of people in Australia, New Zealand, Singapore and Europe. The SOS watch is loved by active retirees and people living independently in their own homes. It is the emergency monitoring device of choice for people over 60. With an inbuilt heart rate monitor and pedometer, it provides the inbuilt healthcare monitoring benefits that are most commonly sought after. The device is provided on the NDIS for patients with a wide range of disabilities. It has empowered young Australians with disabilities to take control of their lives and return to work. The SOS Watch provides them and their families with the confidence of having immediate help at hand on their wrist. 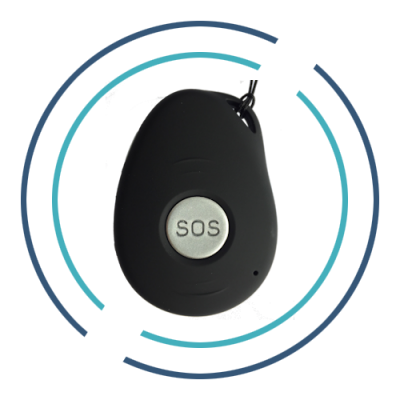 The SOS pendant is the preferred medical device for people with higher care needs. It has an inbuilt GPS tracker and mobile communication. With inbuilt falls detection and gps location through texts it is a duress alarm backed by our trained 24/7 emergency response team. The SOS Alarms are the preferred dementia watch and dementia pendant for patients with dementia. It is the preferred partner for elderly Australians and DVA’s living independently in their own homes with a home care package. The SOS alarms come with an inbuilt Telstra Sim for mobile coverage. It is connected to the latest IoT network. With Australia’s largest nationwide coverage, it provides nationwide emergency response and 24/7 monitoring. The IoT network is unaffected by future changes to the NBN or landline network upgrades. It can provide worldwide coverage upon activation of the service. The device connects you globally to our 24/7 emergency response unit, located right here in Australia, making it the preferred medical alert device for seniors over 60. The SOS Watch supports my independent lifestyle. I am very glad, that I have purchased this device. It took some time to get used to it, but now I am using it every Day. My Family keeps calling me on the SOS Watch, to make sure I am well. The menu is easy to understand and simple to use. The magnetic charger makes it very easy for me, to charge the watch at night. I am living more securely at home and feel safer going out to see my friends. I’m very happy with this security device and have passed my brochure on to my card club friends. 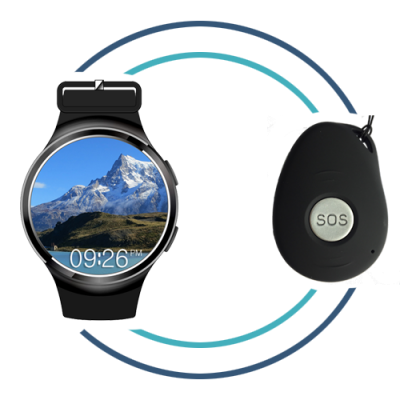 The SOS Watch is simple and easy to use. I am wearing it every day and charge it at night time. It is a very accommodating device for my independent lifestyle. Copyright © 2019. SOS Watch. All rights reserved.